Each year, New York City generates 6 million tons of waste — that’s 24 pounds per person each week at home, at work and on the go. This waste creates health and environmental issues and costs $420+ million to truck, barge or otherwise transport to out of state landfills and incinerators. To reduce these risks, in 2015 Mayor de Blasio introduced a plan with the ambitious goal of sending Zero Waste to Landfill by 2030. Jacquie Ottman, founder of WeHateToWaste.com, delivering a WasteLess, LiveBetter workshop on NYC Zero Waste. 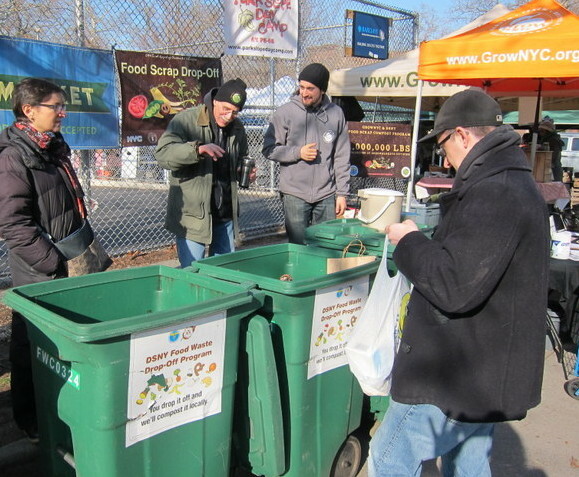 We believe that aligning with the Mayor’s Zero Waste by 30 plan can help each and every New Yorker to live better. That’s because enlightened waste reduction strategies can lead to stronger communities, greater economic resilience and money savings, on top of the ability to reduce clutter and stress. I. How Much Do New Yorkers Waste? Where Does It All Go? V. What Will You Pledge to Help NYC Get to Zero Waste? Our WasteLess LiveBetter workshop has been informed by the many inspiring stories and tips that have been shared by passionate waste-aware individuals at WeHateToWaste.com. It is led by Jacquie Ottman, a green marketing pioneer, and expert in zero waste, and advisor to governments, not for profits and businesses looking to align consumers with zero waste. Learn more about Jacquie Ottman HERE. Jacquie is a committed environmentalist and waste-saver. When she believes in something, she goes “all in”. Her “WasteLess, LiveBetter” workshops are informative, insightful, and stimulating. She is a catalyst who has the ability to get people excited about taking action to reduce waste and improve the quality of their lives. My church/community group looks forward to working with Jacquie to implement some of the great waste reduction ideas that we developed in her workshop. 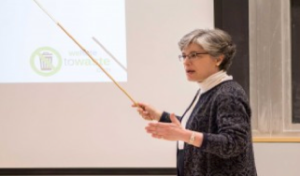 Jacquie presented a WasteLess, LiveBetter workshop to our Sustainable Living Committee and several guests in 2015. We found her to be a dynamic and engaging facilitator, who presents her original material in a way that helped us appreciate the urgency of NYC’s waste problem while encouraging creative and inspiring solutions by participants. We were impressed by her depth of knowledge of the subject matter to her personal commitment to positive change. This workshop was an eye-opener. Not only did I learn compelling facts about waste here in NYC, but it allowed our group to generate our own ideas. I’m motivated to move forward with more of a ‘No-Waste Mindset’ here in NYC. Want to Learn More About Our WasteLess, LiveBetter Workshop?